convinced, in fact, that he had one of the most horrifyingly phantasmagorical dreams that ever made it to the big screen. A little truth (elephants and weasels), plus a lot of bias (terrifying and powerful honey thieves), and Pooh is now haunted by fear (Heffalumps and Woozles). A silly example, I grant you, but one that has a good lesson: if you are unaware of your presuppositions and how they impact your perception of Truth, your worldview will be created by emotional reasoning, not facts. One of the great things about writing is that you get to constantly explore issues through the different, and often totally opposing, views of the characters. 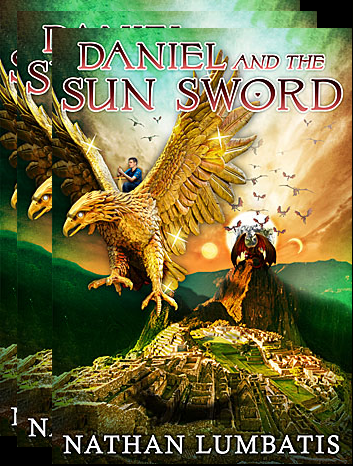 In previous posts (here, here, and here), I discussed the worldviews of each main character from Daniel and the Sun Sword, and how presuppositions impacted their reactions to the events in the plot. Christopher Robin may never have convinced Pooh Bear that Heffalumps and Woozles weren’t real. But Daniel, Ben, and Raylin do come to realize how their own subjective biases had distorted their perception of reality, and, by extension, God. It’s a good lesson for all of us: recognize our presuppositions and Truth will be easier to see. Are you aware of your own presuppositions? How do they affect your worldview? This entry was posted on September 5, 2015 by nathan.lumbatis. It was filed under Daniel and the Sun Sword news and updates and was tagged with presuppositions, woozles, worldview. I always enjoyed Winnie the Pooh. In fact I still do. The simple charm as well as the relationships of the characters.